/ Should You Lift Weights If You Train Martial Arts? Should You Lift Weights If You Train Martial Arts? A topic frequently discussed in the martial arts and the MMA community is whether a practitioner should lift weights. This article examines an assortment of strength training exercises and describes the various effects it has on an individual training martial arts. But before we go into whether or not martial artists should lift weights, let’s go into the different types of resistance exercises. To quickly build muscle mass and strength, compound lifts are the way to go. Compound lifts, also called multi-joint resistance training has long been lauded as the way to go for strength training. Isolated lifts, also called single-joint lifts has long been whispered to be less effective. But is that so? A study done in 2015 showed that compound lifts and isolated lifts both increase muscle size in untrained men. However, compound lifts have been shown to build multiple muscles at the same time instead of just one isolated muscle because multiple muscles are activated at the same time. Additionally, compound lifts simulate real-life movement and thus better prepare muscles for functional movement. As a martial artists, if you choose to lift weights, aim for compound lifts. Olympic style lifts, squats and deadlifts are a few example of these types of exercises. They require multiple muscle groups to function together in order to execute one complete motion. Furthermore, compound lifts are more effective at increasing an individual’s general size and weight than isolation exercises, such as bicep curls. It is not uncommon for strength and conditioning coaches, from different gyms, to disagree on how to build the best athlete. However, they do mutually agree on the significance of using bodyweight exercises and mobility workouts to develop their athletes. The following are alternative exercises to compound lifts that are beneficial to MMA practitioners. Basic Bodyweight Exercises – These type of exercise refers to workouts such as pull-ups and dips. On the occasion where sets of 10 repetitions each becomes too easy, you could always raise the difficulty by increasing the repetitions per set and/or add resistance to your routine with a dip belt. Gymnastics Exercises – Gymnastics consist of a multitude of functional strength exercises that only uses your bodyweight. These workouts are known to be highly difficult, require a great deal of energy, and are extremely taxing on your grip and stabilizer muscles. For example, completing a dip movement with the Olympic rings is drastically harder than doing it on standard dip bars found at any regular gyms. The benefits of gymnastics are improvements in stability, coordination and dexterity. Kettlebell Workouts – Kettlebell workouts are unique mobility exercises that introduce weight resistance. Start with something simple like kettlebell swings and progress to a harder workout, such as Turkish get-ups. As beneficial as weightlifting is for transforming an individual’s physique and strength, it does have attributes that are harmful to your MMA or martial art training. Strength training exercises, like compound lifts with heavy weights, can put a lot of wear and tear on your body. If this abuse continues to add up, then that will make you more prone to being injured. Additionally, pushing yourself to the limits with heavy resistance training may be detrimental to your joint health in the long term. This is important to note because sparring sessions already apply so much stress on your body and joints. In addition to that, workouts like Olympic style lifts have the inherent danger where a small mistake can easily lead to a devastating injury. If you do not compensate strength training with cardiovascular exercises, then your overall stamina will suffer. It is typical for martial artists to see a more physically imposing fighter dominate their opponent with strength and power in the beginning and then considerably slow down over time. If this more muscular fighter is unable to finish their opponent early, then the lactic acid buildup in their body and depleted “gas tank” will put them in a considerable disadvantage. Adding strength training sessions to the numerous martial arts classes needed for an individual to be competent in martial arts makes it easy to overtrain. Exceeding what your body could handle will result in mental and physical fatigue. Arriving to class with a sore and fatigue body from an previous night’s intense lifting session is disadvantageous since you will be sloppier in your movements and have a higher chance of getting injured. While we discussed the disadvantages of resistance training above, there is a plethora of advantages to lifting weights as a martial artist. You always have a favorite or dominant side that you use as a martial artist. For instance, you love to throw kicks from one side instead of the other or you love to pass guard to the left instead of the right. Although this is fairly normal it does create imbalances in your body. While the net effect of training martial arts will mean that your whole body is stronger overall, one side is going to get more work than the other. Resistance training and weight lifting will close the gap on the imbalance, allowing you to train the muscles of both sides simultaneously. Some of the compound lifts, especially Olympic lifts develop massive explosive power. I like to knock on Crossfit a lot but their workouts contain Olympic lifts and develop explosiveness that would be needed in martial arts sparring, especially any grappling art. Explosive strength is simply the ability to maximize power output in the shortest time possible. Example of explosive strength is something like shooting and finishing a double leg takedown. Although the sequence of a takedown lasts less than 5 seconds, the strength required to execute a proper takedown during a match is extremely fatiguing and requires a lot of explosive strength. There was a study done awhile back on the power output of martial artists when they do upper-body compound lifts. The study stated that maximal output is achieved when “when sets of heavy load strength exercises are alternated with sets of lighter load power exercises.” You can read the study here. So Should You Lift Weights or Do Resistance Training As a Martial Artist? So if you look at the overall body of evidence, the answer is a resounding Yes. There are a lot of coaches and such that will tell you that lifting weights will slow you down and muscles will exhaust you. However, that is only true if you are building up your muscles to compete in Mr. Olympia. The benefits of lifting weights cannot be ignored. Avoid Lifting Maximum Reps – To avoid being sore and have fatigue detrimental to your training, focus on lifting moderate to heavy weights instead of trying to find your one rep max weight. Additionally, you could increase the number of sets performed instead of completing the exercise to failure. After Class – Try changing your weightlifting sessions to take place after your last martial arts class of the day. This action allows you to prioritize and dedicate your time to getting better at MMA first and then use the time leftover for strengthening your body. Break It Up – Try shortening your workout routines and having it occur more frequently. Train and Build Explosive Strength – Again, your goal is to train explosive strength, not aesthetics. Martial arts is a very dynamic sport that takes a lot of explosive strength to do well. So cater your workouts towards increasing explosive strength, especially explosive strength from the core. Here is a great article from Bodybuilding.com on exercises to increase your explosive strength. The skills of each martial artist directly correlates to their commitment towards learning and practicing techniques, sparring experience and training habits. The list below comments on the relationships between strength training and performance on the mat. Getting Stronger – Increasing strength does not directly translate to a person’s success on the mats if they do not have the skills to support it. Refining Techniques – The movement required to perform a technique cannot be mimicked by weight training exercises. 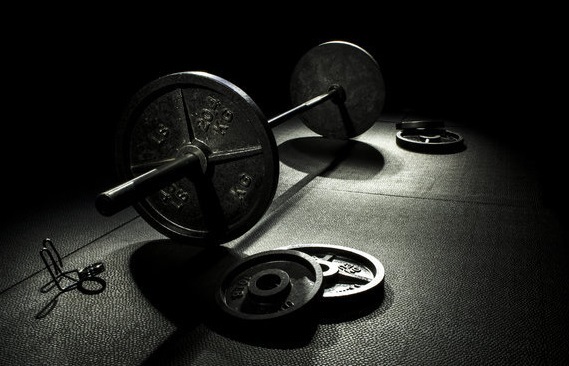 Angles – Lifting weights will only make you strong in the angles incorporated in the workout. A competent practitioner can counter your strength by changing their angle of attack and applying leverage and framing concepts. Efficiency – Being efficient and coordinated in your techniques means less wasted movements. Therefore, less energy is expended, the movement is faster and you could complete the technique with more precision. Regardless of your level of commitment to martial arts, you should include strength training in your schedule to reap its healthy benefits. However, keep the time dedicated to weightlifting at a manageable level and do not let it overshadow your martial arts training. Otherwise, your performance will be affected and your max potential not realized.